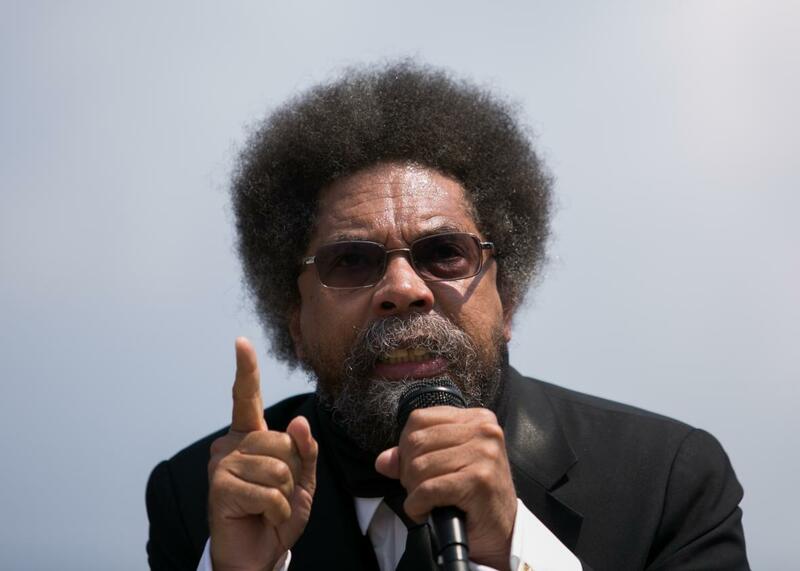 Cornel West endorses Bernie Sanders for president. Cornel West speaks during a rally on Capitol Hill on Sept. 11, 2013. Civil rights activist and academic Cornel West took to Twitter on Monday night to endorse Bernie Sanders for president. I endorse Brother @BernieSanders because he is a long-distance runner with integrity in the struggle for justice for over 50 years. The BLM movement isn’t a single organization—it’s a loose coalition of groups and individuals fighting for a common cause—and West certainly does not speak for the entire movement. Still, he has taken part in a number of BLM-themed acts of civil disobedience, and was arrested with other activists earlier this month during a protest near Ferguson, Missouri. His endorsement won’t be a panacea for the self-styled democratic socialist’s problems with black voters, but it certainly makes Sanders’ sales pitch a little easier. West has previously spoken highly of Sanders—particularly his efforts to crack down on Wall Street—but he had stopped short of a full-throated endorsement until Monday night. The endorsement comes as, in what seems like a response to the BLM protests at his rallies, Sanders has started placing a greater emphasis on racial justice on the campaign trail, and after he released a detailed position paper on the topic and hired a young black woman who has been involved in the criminal justice reform movement as his national spokesman.